The Health and Safety at Work Act 1974 states that all employees should receive information, instruction and training in order to carry out their job in a safe manner and in a safe workplace. Training staff in basic health and safety is important to every business. Singleton Training Services Ltd run the basic health & safety course both as an in house session at your venue and also as open courses on a regular basis at our training facilities in Lincoln and Grimsby. The safety training covers risk assessment, safety signs, electricity, fire, work equipment, VDU’s, manual handling, COSHH and health & safety law. 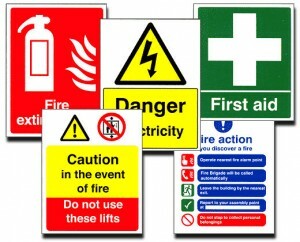 We can also design bespoke health & safety courses to your specific requirements, contact us for details. Health & safety is an important part of every business, training employees can help to reduce accidents and claims. Qualification achieved: Health & Safety Certificate. Click here to download health & safety syllabus.